Your sales funnel is the predetermined journey people take to become your customer. Creating a winning sales funnel will vary industry to industry and within that, business to business. But regardless of that, there are software solutions you can use to greatly improve the way your sales funnel works. These are marketing automation and customer relationship management (CRM). Independently, these solutions are great for monitoring and improving your sales funnel, but when combined, you create a system that bridges the gap between marketing and sales to efficiently improve your winning sales funnel. In this blog post, we’re going to have a look at the benefits of using each set of tools and how you can combine them to create a complete marketing and sales ecosystem. Customer relationship management software solutions such as Salesforce store important information about contacts or customers. Think of it like an address book. But businesses need much more than just contact names, emails and phone numbers. You need to know which company they work for, which products they’re interested in and which of your products they’ve purchased. That’s where CRM products come in. CRM software solutions enable your sales teams to build and foster relationships with customers by keeping track of anyone you connect with. You can see which company your prospects are from, who, from your company, has already contacted them and what they’ve said. Marketing automation software solutions like Infusionsoft or Active Campaign also save data about contacts such as their names, email addresses and where they work. Alongside this, the software saves detailed data on your prospects and their interactions with your business. The software automates marketing actions. Automations occur when a prospect triggers a predetermined event such as downloading content, opening emails or viewing a specific webpage. Using these triggers, you can nurture prospects by first, segmenting your list based on the content they’re interested in and secondly, sending personalized, useful content with the right messaging to the right prospect. Marketing automation software helps streamline and automate marketing campaigns and adopts an engagement-orientated approach to developing customer relationships, giving you time to focus on other important tasks. 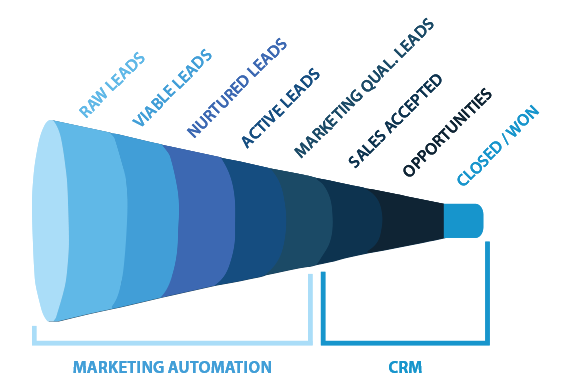 Generally speaking, marketing automation software targets prospects at the top of the funnel, nurturing raw leads to qualified leads ready for the personal touch of your sales team. Whereas CRM software aims to convert warm leads into paying customers. Because the two are so exceptional at targeting their own respective part of the funnel, the advantages of combining the two together should come as no surprise to you. As with any software, there are limitations. 68% of marketing automation software users have yet to identify or measure their sales funnel and 65% of companies using marketing automation software have no defined lead nurturing process. This, however, wouldn’t be an issue if they combined their marketing automation software with CRM software. Only 56% of companies who use CRM software have a system or toolset in place to qualify marketing leads and a massive 79% of marketing leads are never converted into sales. Sales teams would be able to qualify and convert leads much more efficiently if they used a marketing automation tool in conjunction with their CRM. When you integrate both systems, you sync information bidirectionally, meaning any updates you make to a record in your CRM will automatically update within your marketing automation system and vice versa. As I mentioned before, using both marketing automation and CRM solutions helps bridge the gap between marketing and sales. The tensions that exist between marketing and sales usually comes down to a breakdown in the process of leads. Marketing sends leads to the sales team when they’re not ready. The sales team has to seek out their own warm leads elsewhere. The problem with this? When there is a disconnect between sales and marketing, leads go unnoticed. 35-50% of sales go to the vendor that responds first. So when you fail to nurture leads, they often seek out your competitors instead. Integrating the two systems together can help build a winning sales funnel. Let’s look at the diagram below. In doing so, marketing and sales teams are unified in their approach and both have insight into a prospect’s behavior. This will have positive effects on your marketing campaigns, return on investment and sales performance. It also limits the number of leads that might drop out of the sales process early due to poor lead management or problems within the sales team. • Only send qualified leads through to the sales team. • Automate lead assignment. Leads are sent to the sales team at the right time. • Align marketing and sales touch points from the beginning to the end of the sales process and track these in real time. • Stop leads who aren’t sales-ready from leaving the funnel early. Perhaps most importantly, the benefit of integrating marketing automation and CRM systems is the deeper insight into how campaigns are performing. In other words, you can track raw leads right down to the sale and match marketing efforts to revenue. Once you’ve decided you’d like to integrate your marketing automation and CRM tools together, it’s time to think about how to integrate. Like with any new process, before you begin, outline why you’re integrating the software, what you hope to achieve from it and which business goals they align with. From there, the next step is communication. Both sales and marketing teams should fully understand why the integration is happening, what it means for them and the new processes they have to learn. Both teams will likely understand their own respective tools, but may not know how the two can work together to create real value-add for the business. It’s important to talk to both your marketing automation and CRM vendors before integrating the two together. They will be able to assist with the technical side of implementation or even offer an integration for the other software out of the box. 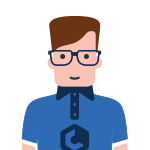 Have you chosen and integrated your software stack? Well then, you’re almost on your way to creating that streamlined ecosystem I mentioned earlier. Once you’ve integrated the systems, it’s time to start testing the new capabilities, optimizing your current efforts and training your teams to make the most out of the new integration. Let’s look at how this integration might work. Your prospect downloads content through a lead capture form on your website. Their details are entered into your marketing automation software. At this stage, you have valuable information about this lead. You have their contact details, as well as an understanding of their pain points based on which content they downloaded. Your marketing automation software will now nurture these leads by sending them relevant, useful content related to the original piece they downloaded. Depending on how this lead interacts with the content you send, a lead score will be assigned so that, when ready, they will be forwarded to the sales team. When the sales team receive the lead, they have full access to which content the prospect received and interacted with. This will help them personalize their sales approach and increase the number of leads who convert. For B2B companies, the sales funnel and buyer’s purchase habits have changed. Prospects spend more time conducting their own research which means they usually find their own way to a purchase decision. Throughout this process, B2B buyers reevaluate their choices depending on their research. It’s now more important than ever to anticipate what a buyer needs in order to complete their research and provide them with the relevant content when they need it. In order to do this, you need a unified system between marketing and sales to capture and nurture leads and guide them through your sales funnel. This gives both the sales and marketing teams direct access to all prospects through the sales funnel at any time. Because of this, both teams will be better equipped at personalizing every conversation they have with their prospects. It’s clear there are major benefits to using marketing automation software with CRM software. After reading this blog post, you should have a clearer understanding how the two software types work together to improve the efficiency of your sales funnel. What techniques have you used to improve and refine your sales funnel? Leave a comment below. 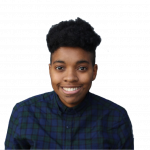 Jordie is a B2B and SaaS content marketer with over six years experience. She is based in London and is a regular contributor to the Crozdesk blog. Thanks for such an informative article. I’m considering using marketing automation, but I’m not sure I have the skills to do it. We’re considering something easy to use like GetResponse. I guess we’ll see. Hi Ann, thanks for reading the article I hope you found it useful. It might help you understand the features you need and the features you’ll use! Jordie, we are consider to start using CRM. For B2B, which platform do you recommend, so we can integrate marketing automation with it?